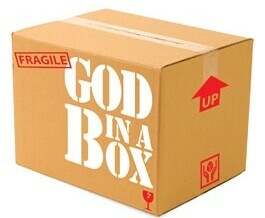 HomeThe Crucified Life Ministries BlogDon’t put Jesus back in the box! So another Christmas is passed what do you do now? We’ve spent the last few weeks in a very special time of the year. Christmas, celebrating the birth of our Saviour! There is no better time of year, spending time with family and spreading the good news to those around you. But what do you do next? Will you wait for another year to get back in the Christmas cheer? Here are a few suggestions for what to do after Christmas. The verses that follow are what happened right after the Christmas story in the Bible. Take a few minutes and read Luke 2:1-40 and ponder the following 10 points. So what happened right after the Christmas story in Luke 2? They returned home and went about with normal life, the child grew and waxed strong in spirit, filled with wisdom. Another way of saying waxed strong is to say that he was strengthened in the spirit by God’s Word. When they went home they went on with their lives. They spent time learning and studying God’s Word being strengthened and filled with wisdom. Here are a few points to help you return home and wax strong. Take time to clean the house – 2 Chronicles 14:2-3 (KJV) “And Asa did that which was good and right in the eyes of the LORD his God: For he took away the altars of the strange gods, and the high places, and brake down the images, and cut down the groves.” It times to renew our relationship with God, get back in His word and give ourselves to Him. Trash the tree but keep the Light on – Matthew 5:16 (KJV) “Let your light so shine before men, that they may see your good works, and glorify your Father which is in heaven.” Take time and do something for others. You can spread God’s Word by your actions not just your words. Walk away from the manger, but stay in awe of Jesus – Luke 2:20 (KJV) “And the shepherds returned, glorifying and praising God for all the things that they had heard and seen, as it was told unto them.” Keep your focus on Christ! Take time to tell others why you are happy and excited. Don’t put Christ back in the box – John 14:21 (KJV) “He that hath my commandments, and keepeth them, he it is that loveth me: and he that loveth me shall be loved of my Father, and I will love him, and will manifest myself to him.” When you pack up the Christmas decorations there is no need to pack Jesus Christ up until next Christmas. Keep Him out of the box! Love Him, worship Him all year. The gift of Jesus Christ comes with a No Return – No Refund policy – Ephesians 2:8 (KJV) “For by grace are ye saved through faith; and that not of yourselves: it is the gift of God.” Jesus Christ gift is eternal, forever. Grace is forever, No Return – No Refund. Re-gifting is OK! – Acts 1:8 (KJV) “But ye shall receive power, after that the Holy Ghost is come upon you: and ye shall be witnesses unto me both in Jerusalem, and in all Judaea, and in Samaria, and unto the uttermost part of the earth.” Salvation is a gift that no matter how hard you would try you can’t give it away! The more you give it away – the larger the gift becomes. God has given us the gift and He wants us to give it away. Take time to relax – Genesis 2:2 (KJV) “And on the seventh day God ended his work which he had made; and he rested on the seventh day from all his work which he had made.” God rested – Come apart before you come apart…. Recycle! Refresh! Disciple! – 2 Timothy 2:2 (KJV) “And the things that thou hast heard of me among many witnesses, the same commit thou to faithful men, who shall be able to teach others also.” Make sure you are sharing God’s Word, with others. Ponder the Past, but look ahead – Philippians 3:13-14 (KJV) “Brethren, I count not myself to have apprehended: but this one thing I do, forgetting those things which are behind, and reaching forth unto those things which are before, I press toward the mark for the prize of the high calling of God in Christ Jesus.” Reflect on what has happened and what you have done for God. Plan what you will do for Him this year. Those who fail to plan – plan to fail. What will your plan be? God has a plan for us! – Jeremiah 29:11 (KJV) “For I know the thoughts that I think toward you, saith the LORD, thoughts of peace, and not of evil, to give you an expected end.” Think about and make intentional plans for what you will accomplish for God this year. What will you do? So as we approach a new year take to time to clean your spiritual house. Keep the Light on! Keep Jesus as your focus, stay in awe of Him and what He has done for you. Don’t put Him back in the box until next year. Christ has given you a gift that you can return but you can re-gift it and give it to others. Relax, prepare for this year and make specific plans and goals for what you can do for Jesus Christ this year. What will you do for Jesus Christ this year?